Every year, millions of Americans suffer food poisoning. Most of the time, a person with food poisoning is able to recovery fairly quickly and return to their normal routine. However, not everyone gets over food poisoning so easily. In fact, many people require emergency medical treatment and hospitalization for food poisoning, with some extreme cases of illness ultimately proving fatal. Of course, the best way to avoid food poisoning is to follow a healthy diet and take other preventive steps, such as making sure that food preparation areas are clean, that the food you eat has been properly cooked, and that your hands are washed prior to eating. If you do find yourself suffering from food poisoning, you will want to remain hydrated and get qualified medical treatment as soon as possible. Some of the most common foodborne illnesses suffered by people in New Jersey, New York, and elsewhere in the U.S. include listeria, salmonella, E. coli, hepatitis, shigella, staphylococcus aureus, and botulism. Whether you are suffering from one of these illnesses, or some other type of food poisoning or infection, it is imperative that you are able to recognize the signs and symptoms most commonly associated with foodborne diseases. Food poisoning can upset your stomach and cause nausea and vomiting because you won’t be able to keep any food down after eating or drinking. Moreover, nausea and vomiting can lead to dehydration, which could be extremely dangerous if left untreated. 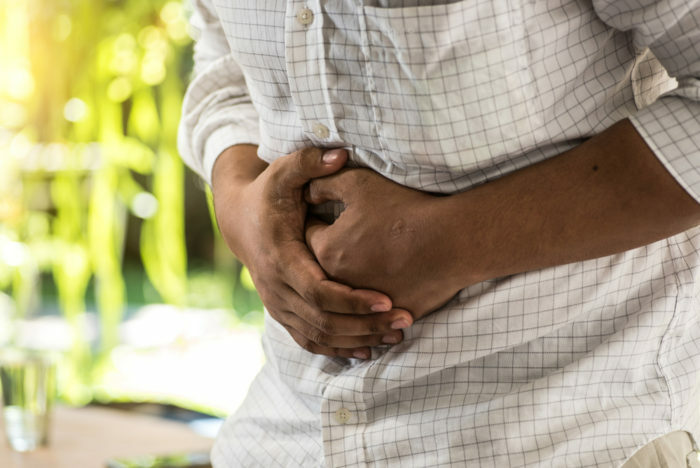 Many foodborne illnesses can cause cramps and other types of pain in your abdomen. Diarrhea can be extremely uncomfortable and can also lead to other adverse health effects, including abdominal pain and cramping. Bacteria from food poisoning can cause a breakdown of your body’s ability to fight infection, triggering an immune response and leading to fever. Anyone suffering from prolonged or high fever should seek immediate medical treatment for a qualified diagnosis. Food poisoning can cause headaches, as well as other flu symptoms. Your entire body can be weakened along with your immune system, so don’t ignore weakness in your muscles and extremities. It’s very possible that this could be a sign of food poisoning. Some foodborne illnesses can affect your ability to see by causing dizziness and blurred vision. Additionally, food poisoning can also result in double vision. If the infection affects your mouth or throat area, you may find it difficult to swallow food or drink water. When this happens, do not wait to seek medical help because you could wind up dehydrated. When people are sick, they tend to avoid eating. This is especially true when a person is suffering from food poisoning, as they simply may not feel like eating. Without the nutrients you need on a daily basis, your body can deteriorate and you could lose an unhealthy amount of weight. If you suffered food poisoning, or any other type of illness, as a result of consuming contaminated food, you should talk to a qualified personal injury attorney. Richard Stoloff is an experienced personal injury lawyer who will help you explore all your available legal options. Contact Mr. Stoloff today to schedule a free consultation about your case.